Villa Four Seasons New !!! Location: Villa Four Seasons is situated in the town of Samokov, just 10 km away from Borovets ski resort in the Rila mountain. 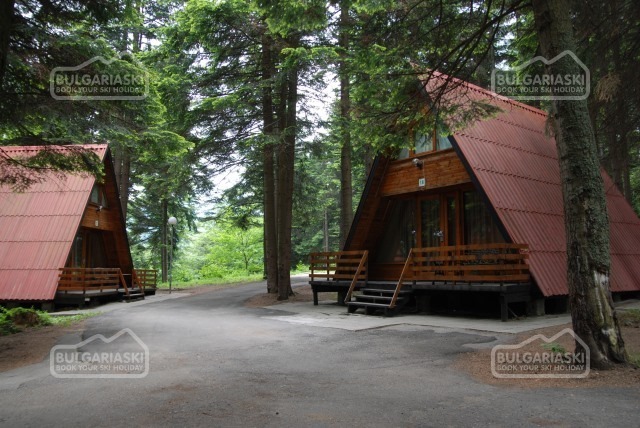 It is just 60 km from Sofia and Sofia international airport. 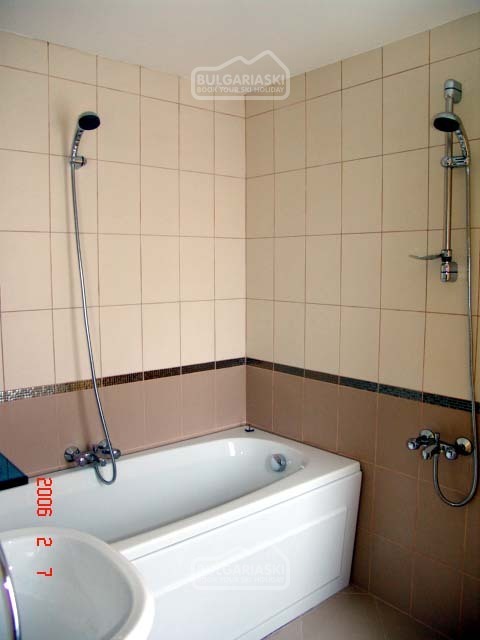 Accommodation: It offers five double rooms and one apartment. 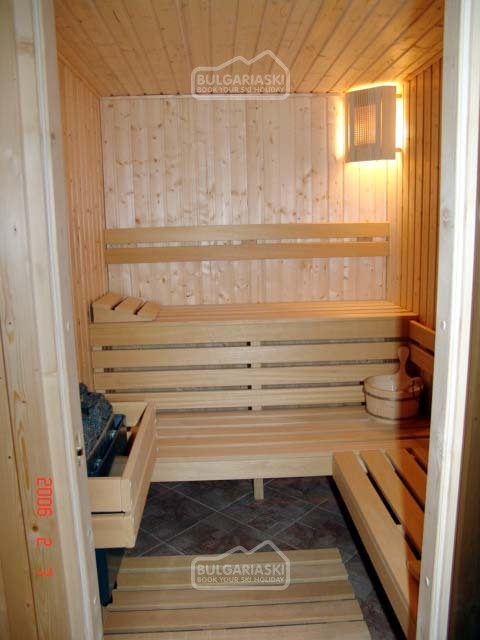 The guest house offers sauna and jacuzzi. Services: There are numerous opportunities for short excursions and hiking tours offered by the hotel. A professional ski teacher and mountain guide are on your disposal upon request. We visited Villa Four Seasons in March 2013. Our group of 15 took over the entire place and we were treated like Royalty by Nick and his family. Nothing was too much trouble and the breakfast, well you've just got to try it!!! We booked for 2014 before we had even left. If you're looking to visit Bulgaria stay here, you won't regret it. We stayed at 'The Four Seasons' Guest House in March 2011. We found the accommodation perfect for what we required, clean, tidy and adequately spacious. But above all we felt compelled to review this place because of the hospitality of Nick and his family. They went beyond any expectations we may have had, and nothing was too much trouble. Also his knowledge of the area was second to none. Whilst staying there, he dedicated his time, in making our stay easy, stressfree and fun. We wouldn't hesitate in recommending this place, or returning there ourselves. Many thanks again, for a fantastic break. Having being so impressed with the service we received last year here we decided to book for the second year. It was great to go back knowing that all our needs would be catered for and Nick & his family certainly made us very welcome again. Nick sorts out all our skis, boots etc and makes the whole days skiiing so stress free. Excellent Breakfast - what ever time you want to suit you. Transport to the slopes, help with the kids etc. Nick spent the whole day on the slopes with us and gave lessons to the women and the kids. Our child Ella was just 3 years old when Nick first taught her last year and she improved yet again on her second visit. This time she was quite happy skiing down the slopes leading the group down as she went. See link for youtube footage http://www.youtube.com/watch?v=I5oGUw8KqNA Our party had 5 adults and 4 kids aged between 4 & 13 and with everyone at different levels Nick did amazing at trying to share his attention with everyone. At the end of the days skiing, Nick would take us back, sort out the sauna/hot tub to relax in after a hard day on the slopes. On an evening Nick would take us out to local restuarants which are excellent. With starters, drinks, mains, deserts you would struggle to spend more than £10 per head much much cheaper than Borovets. A 500ml bottle of Becks was 90p - you can;t even buy it in Tescos for that!! Nick & his family cooked us a meal one night a chicken curry which was out of this world!! Nothing his too much trouble for Nick and his hospitality will certainly make you want to book again and again. If you nornally book through travel agents for easy of an holiday, I must recommend that you give this place a try, just book with Nick, sort the flights out and everything else just falls into place thanks to Nick. It is like having your personal guide with you there all holiday and caters for all your needs. What ever you want he will sort out. I can not recommend this Chalet highly enough especially if you have kids as Nick just makes it all so easy. Mant thanks Nick, Mariana, Petra & Mona for such a great holiday. Will definately book again. We (my partner, brother and 12 year old nephew) have just returned from Samokov where we stayed with Nick and his family in the Four Seasons Guest House for a week. I can honestly say that none of us have ever experienced the level of customer care that Nick demonstrated. The guest house itself is clean and smells lovely. The evenings were more than comfortable, and Nick took us to a fantastic selection of restaurants. If you're not up for going out, there is a very extensive take away menu, and you can even use the kitchen and cook for yourself if you really want to. The breakfasts were great, and really set us up for the day. As a Borosport ski instructor in a previous life, Nick has numerous contacts within the area and has arranged discounts at various establishments for his guests (Hrima do the best hot chocolates and cheesy chips!). Nick is also a great instructor, patient, skilled and very confidence building. I would absolutely recommend a lesson or two with him during your stay. I have never taken the time to write a review before, but Nick and his family absolutely made our holiday. I would not hesitate to recommend Four Seasons guest house to anyone! My family have just returned from a 13 day ski break staying at the four seasons in Samokov. It was the best hotel we have stayed in. Being a family run hotel Nick and his wife provided us with a very friendly and professional service. The hotel was exceptionally clean and tidy. The food was cooked to order and offered such a wide variety to choose from unlike the larger hotels in Borovets. Nothing was too much trouble for Nick and his wife. We will definately be going back to stay. I would recommend this hotel to anyone wanting to ski in Borovets. 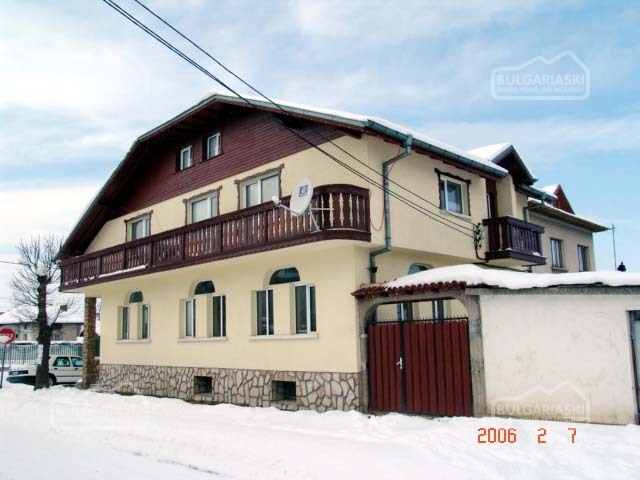 hi, just returned from this guest house, after staying here in samokov, to go skiing in borovets which is just a 5 min drive away, i must say as a family of four we cannot fought this place, the owners were lovely people, after staying in hotels and villas in borovets, for the last 4 years, i wish i had found this place earlier, as i will always return to stay here. the place is spotless, the breakfasts every morning was lovely. it was like home from home. Stay at the Four Seasons Chalet over the New Year with good friends of ours. Nick the owner made our stay so enjoyable and helped so much with everything. Nothing is too much trouble. Nick picked us up from the airport drove us to and from the slopes each day, recommended the best restuarants in Samokov ( at least a third of the cost of Borovets! - Food excellent every night). Nick even drove us to and from the restuarants on an evening. 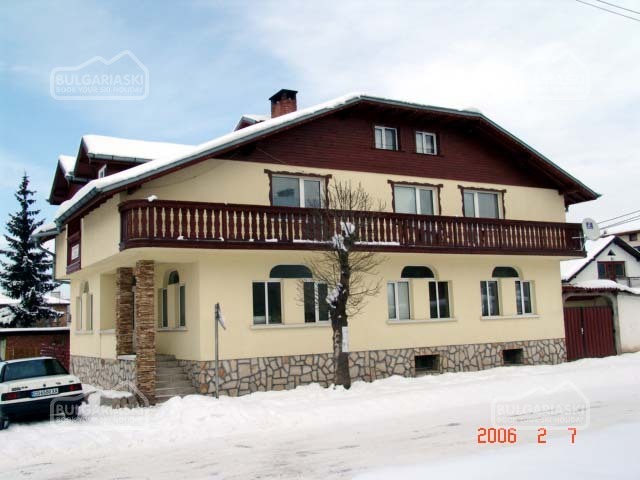 Chalet is great for families and the hot tub and sauna are great after a days skiing. Nick is so helpful it is like having your personal guide for the week which made our first time in Bulgaria all the more enjoyable. He even gave us all lessons and to see my tiny 3 year old daughter skiing down the slopes by the end of the week was all thanks to Nicks patience and skill as an instructor.Can not recommend this place enough. You will not be disappointed!!! I have just returned from a break this hotel over the new year and cannot praise it highly enough.It is more like a catered chalet and has the added bonus of the owner being an ex ski instructor and will give lessons to anyone who needs them.The accomodation is very clean and has sauna and jacuzzi. Even though the snow didn't arrive we still had a great time due to nick's hospitality. It get's a 5 Star rating from me. Please, post a comment on Villa Four Seasons in Samokov. 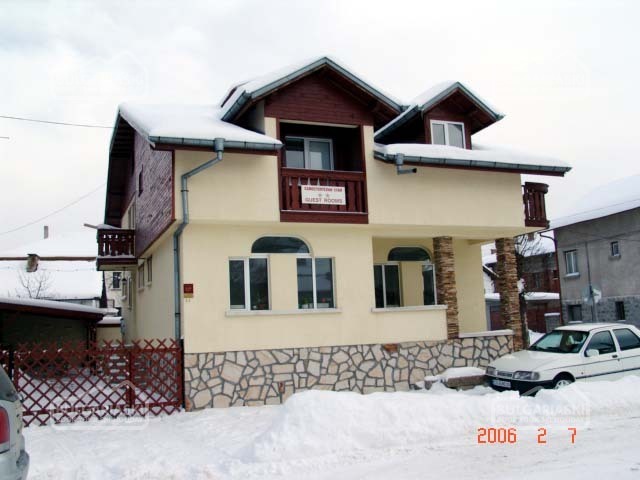 Best deal 7=6 Vien Guest House Bansko, Vien Guest House Get free overnights - 7=6, 14=12 during 08 Jan - 30 April 2019!